Full size Katana Leather Carrying Case/Scabbard. This bag is made very durable which helps the sword stay in place with its scabbard. Stitched onto the Leather case are two separate adjustable should strap which goes onto your back. Either you hold it on your shoulder or strap it onto your back. 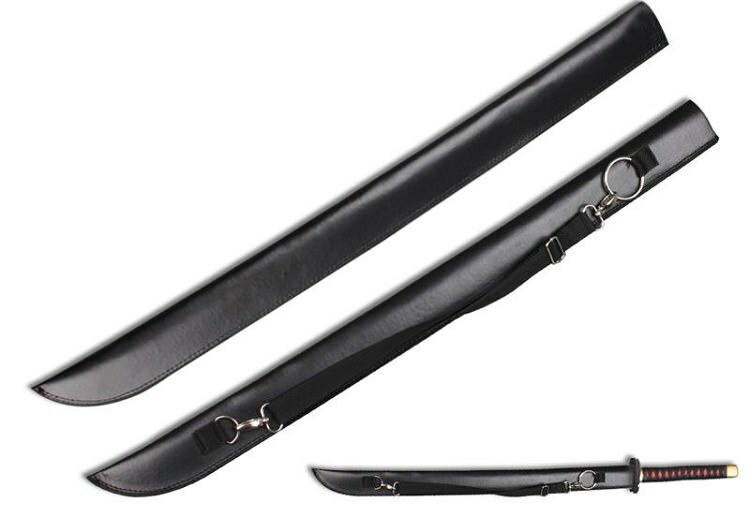 This Leather Full Size Sword Carrying Case can hold a regular size Japanese Katana sword, wooden bokkens, Shinai bamboo swords, foam and cosplay swords.